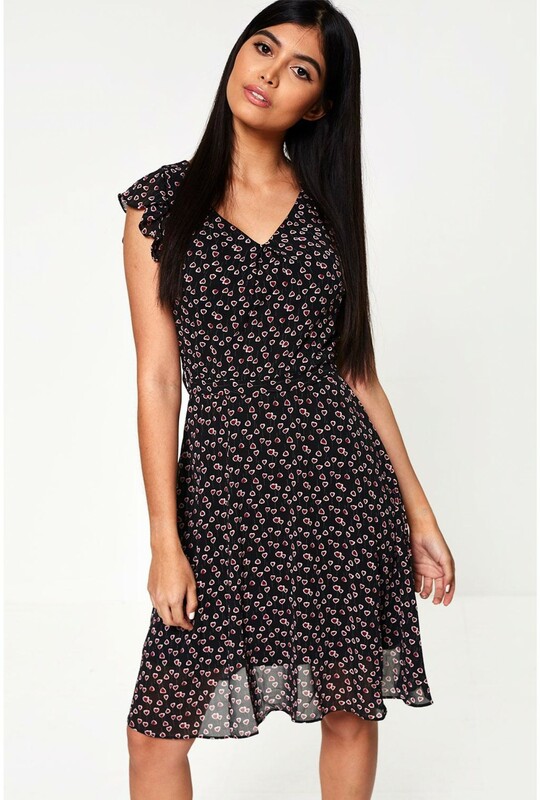 This all over heart print dress is a versatile piece for your wardrobe. Featuring cap sleeves with flutter detail and falling into a pleated skirt. Team with trainers and a denim jacket for a casual outfit, take from day-to-night with your favourite heels and statement earrings.